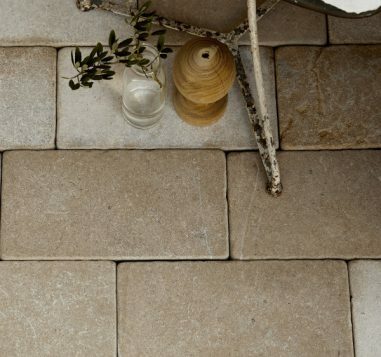 The tumbled finish roughens the edges and ages the stone, while the added etched finish slightly bleaches the surface, giving the stone a uniform appearance. 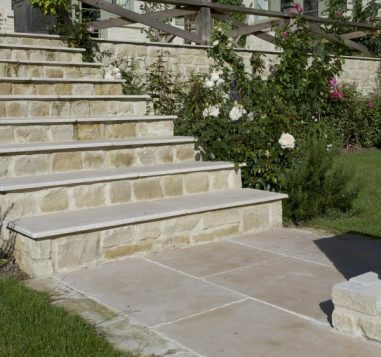 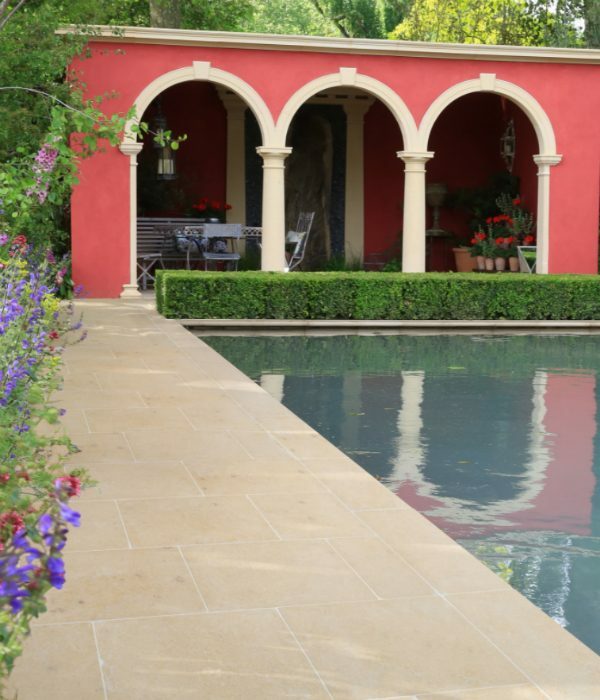 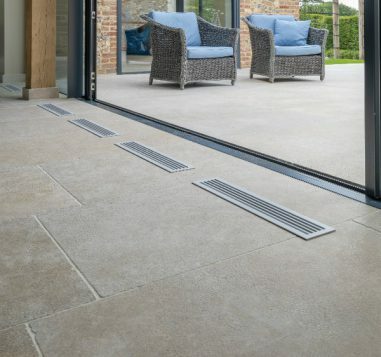 This look makes the stone very adaptable for traditional and contemporary design schemes. 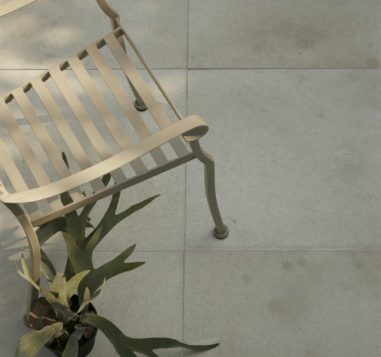 The bleaching also helps create that seamless effect from indoors to outdoors.